The Roseman Law Firm was founded by Attorney Christina Gill Roseman. Ms. Roseman is admitted to the practice of law in Pennsylvania, West Virginia, Ohio, Michigan and Wisconsin. She is a trial lawyer who devotes her practice to representing consumers in Lemon Law and Automobile Dealer Fraud cases against car manufacturers and dealerships. Ms. Roseman's trial wins include jury verdicts against Hyundai and Chrysler in 2013, a non-jury verdict against Kia in 2012 and jury verdicts against GM and Chrysler in 2010. This is in addition to thousands of settlements for consumers for cash or new vehicles. She was the 2010-2012 Co-President of the Women's Bar Association of Western Pennsylvania. She is currently the Co-Chair of the Continuing Legal Education Committee for the Women's Bar Association of Western Pennsylvania. She has been a panelist on six continuing legal education seminars to train other attorneys in the law. 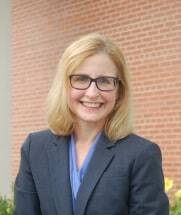 Ms. Roseman was selected by the Allegheny County Court of Common Pleas Arbitration Division to teach court employees and other attorneys about the Lemon Law at a continuing legal education seminar. She has also presented to lawyers on dealer fraud at a national auto fraud conference in Clearwater, Florida..